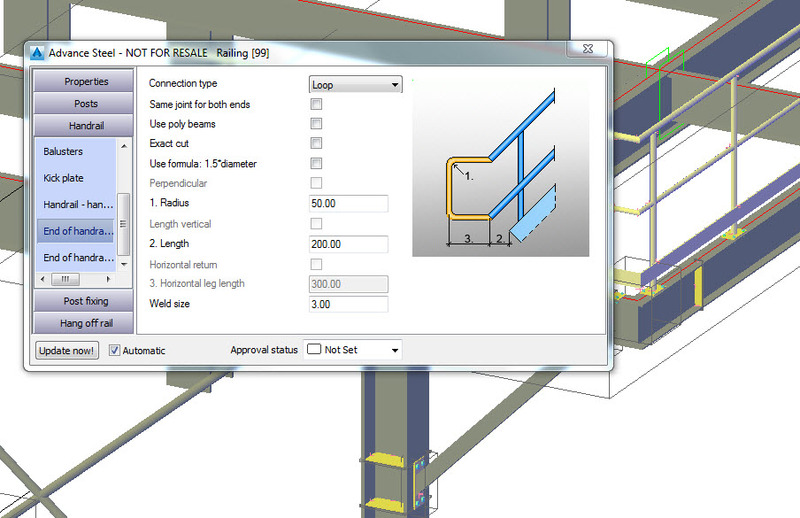 With the release of Autodesk Building Design Suite 2016 back in June Autodesk announced that AutoCAD Structural Detailing was to be discontinued from the suite but would still be made available to clients that had subscription. One of the main catalysts for change was the acquisition back in 2013 of the Advance Steel product which gives the much needed fabrication and structural detailing capabilities to the existing Autodesk structural suite of products. Autodesk Advance Steel now completes the portfolio giving BIM workflows and capabilities to Steel Detailers, Fabricators, Manufacturers and Contractors. In the workflow shown above the structural engineer can design the steel frame in Robot and then import the model into Autodesk Revit with the design results, the Revit model can then be transferred and synchronised with Autodesk Advance Steel. The steel detailers can then add any secondary steel, cold rolled systems as well as the required connections and check these to the required design codes, create fabrication documents and output CNC code. The Advance Steel model can then be federated into the main Navisworks model allowing contractors to plan the logistics and construction. Finally, Autodesk Point Layout can be utilised for the creation of points and then the data exported to Robotic instruments for setting out. A major strength of Autodesk has always been integrating tools to give users good workflows and the transfer of intelligent models and data. Autodesk Advance Steel can import and output to the following neutral formats. The NC data can be output via the common DSTV format or to certain bespoke machine tools. Another option is to output profiles to DXF to interface with LASER, plasma and similar automated cutting machines. Other intelligent synchronised links are possible with Autodesk Revit and Autodesk Robot. The interface with Autodesk Robot Structural Analysis will also output the design forces directly into the Joint Design tab. 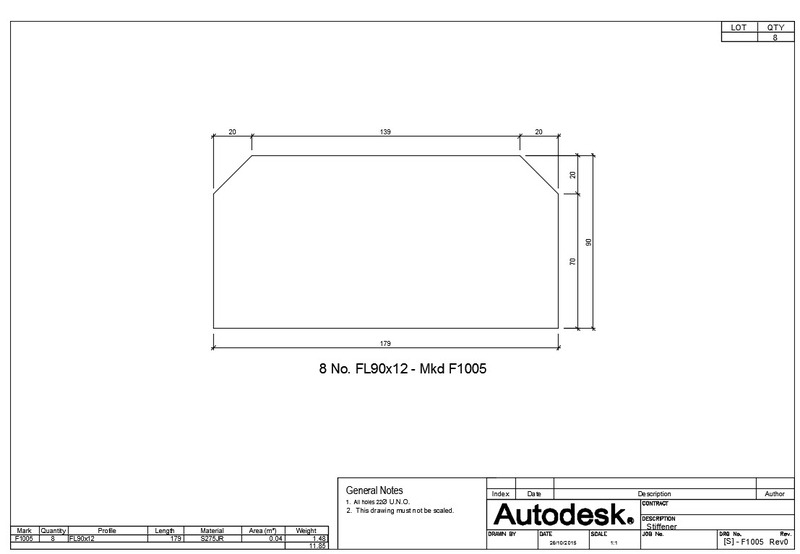 There are also workflows with AutoCAD Plant 3D and Autodesk Inventor. A huge advantage of Autodesk Advance Steel is that it runs on top of AutoCAD giving a very familiar feel to existing AutoCAD users and good resourcing potential when looking for steel detailers with CAD experience. Although the main drafting and modify tools are shared with AutoCAD 2016, Autodesk Advance Steel brings many more bespoke tools to aid the modelling of structures, analysis and drawing outputs. The tools work in a very intuitive way and are used in logical workflows to provide full control of your digital model. The steel frame can be produced either by placing elements at specific points like drawing lines in AutoCAD or you may prefer to create AutoCAD lines and convert these to Advance Steel structural elements. Plates, holes, welds and bolts can then be added to the steel elements to complete the required details. In the image below you can see the Advance Steel connection Vault allowing the automated modelling of over 300 joints and connections. Additionally, each joint can have a library of common sizes and types stored for future projects. Custom connections can also be generated and stored within an Advance Steel Palette. 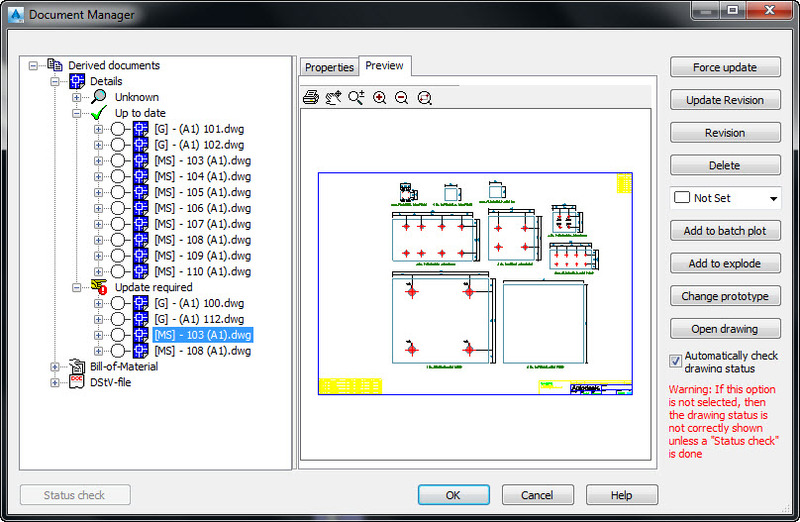 Many of the standard connections support design and analysis to EC3 directly within the joint dialog box with a full design report that can be exported. The vast majority of the Advance Steel commands are all transparent which makes previewing and navigating very straight forward. For example, in the below image the railing tool has been started, the user can manipulate the display, make changes within the dialog box and instantly see the results in the context of the model. Another interesting feature of Advance Steel is with its Multi User technology allowing many users to work within the same DWG model. 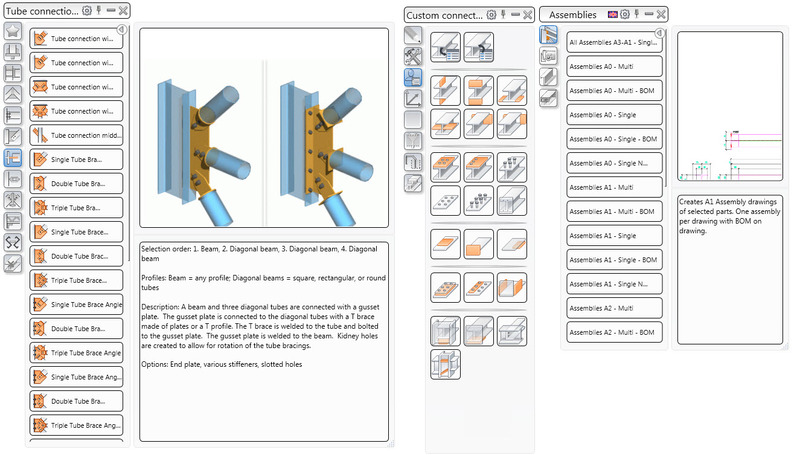 This is achieved in a similar way to Revit by utilising a master model and then each user connecting to the master model and checking out elements as required. This becomes a very useful feature when working on very large steel projects. The Advance Steel Document Manager is the central location to manage and view all 2D output such as drawings, schedules as well as DSTV files. All documents can be previewed and managed from this simple dialog. A major strength is the ability to change any model element and instantly see which documents need revising. The revisions are then applied and revision data and clouds are automatically added to the relevant drawing frames and views. The various drawing and detailing processes can handle the output of all single part drawings, assemblies and NC output with a click of a button. This is achieved by creating pre-configured drawing styles that control every aspect of the drawing from view placement, object visibility through to dimensioning strategies and intelligent labelling. The Autodesk Advance Steel drawing output is among the best in class with fully customisable templates and styles that can be applied via simple tool palettes. The image below shows a typical Elevation and 3D Isometric detail. Here you can see a fully automated drawing output from the model. Each plate has been detailed on a separate A3 sheet with required quantities, weights and even lotting information added to the sheet. 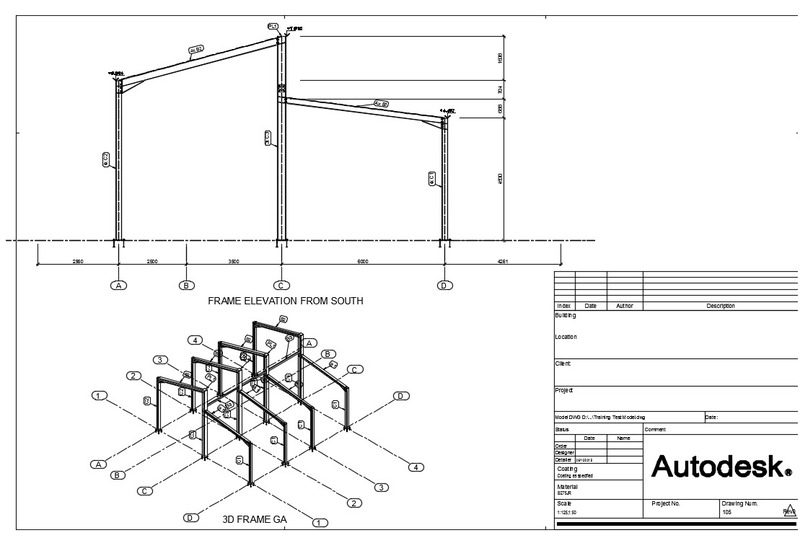 When detailing large amounts of components such as plates, beams and columns Autodesk Advance Steel has a very useful set of tools called Drawing Processes. This is based on a complex set of styles that will generate all documents with the correct templates for each view and sheet. 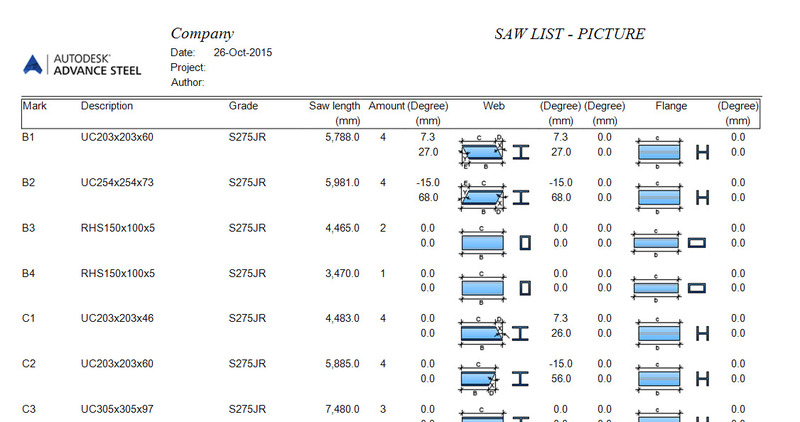 Other output can be automated such as various Bills of Materials for plates, bolts, and even saw lists based on images. Like the drawing Styles each schedule is based on a template that can be fully customised as required. In summary Autodesk Advance Steel adds a much needed set of tools to the existing Autodesk portfolio and being based on AutoCAD will instantly have a familiar look at feel to most potential users. As I mentioned previously, another very strong benefit is workflows and integration with other software tools such as Autodesk Revit, AutoCAD Plant 3D, and Autodesk Robot Structural Analysis. This entry was posted in Uncategorized and tagged Autodesk Advance Steel, Fabrication, Steel Detailing, Steel Frame Design. Bookmark the permalink. like most important of industrial people of in this advance steel 2016 .